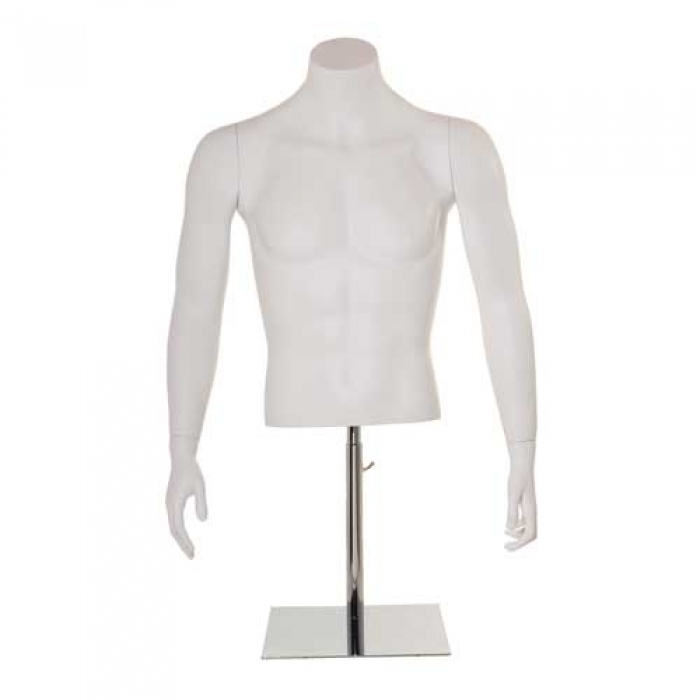 Male Fibreglass Half Bust With Stand. Suitable for counter standing displays also perfect for a shop window display. A counter top torso is a great way of displaying garments without taking up valuable floor space. Chest 96cm, Body Height 68cm, Base is adjustable from 111 to 125cm, Base Size : 300 x 400m.